So cute and very clever! Thank you so much! Now, I'm making them with dot printed fabrics. My exam would pass(Maybe...)! I checked the answers and it was perfect! hello mai, the cat and fish is fabulous! very funny and clever. I love the inside of the cats mouth, too. looking forward to see more. Thank you very much! Imade more those pouches and today, I made a new pouch! Wonderful! This little pouch is so cute!! Many greetings from germany. For frogs, I would only have one end of the zipper stick out. 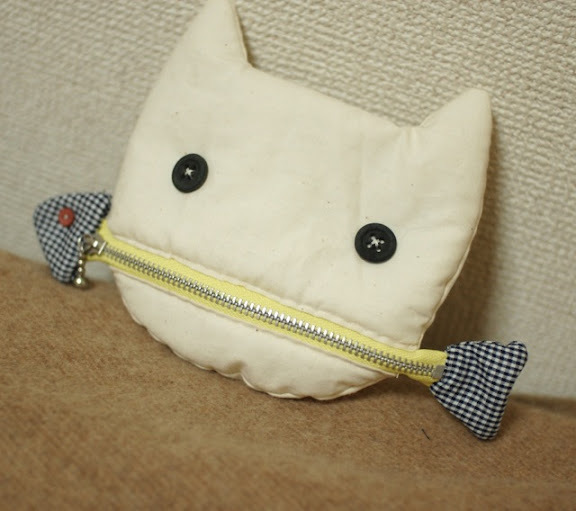 A pink zipper like a tongue, with a fly stuck on the end. Your cats are so cute! very funny! 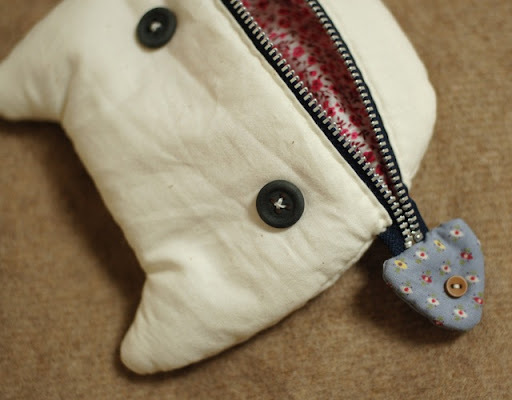 I will sew something like this for a little girl. Love it! As for the Frog one you are planning - how about a dragonfly zipper? ...wings poking out one side of the frogs mouth and the end of its body poking out the other side. Can you please make a tutorial? I would love to make this! :) Please answer :D I love it!! It is simply gorgeous, you are a genius! How about a dog with a bone? Or a house with the green zipper as grass and a little plant in a pot each side? Or a little shop window with a zipper road in front and 2 cars?.....now you have got the ideas flowing!! !....I'll have to go and make one!!! 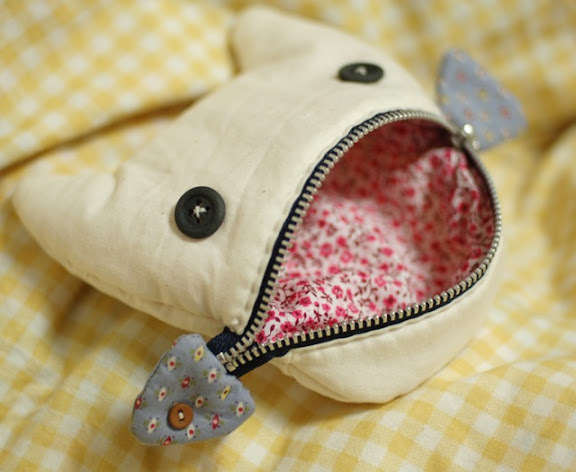 very beautiful this pouches , you can publish full-size mold? Hi. I just found your lovely blog!! I also would LOVE a tutorial on how you made this?? Please?? ?